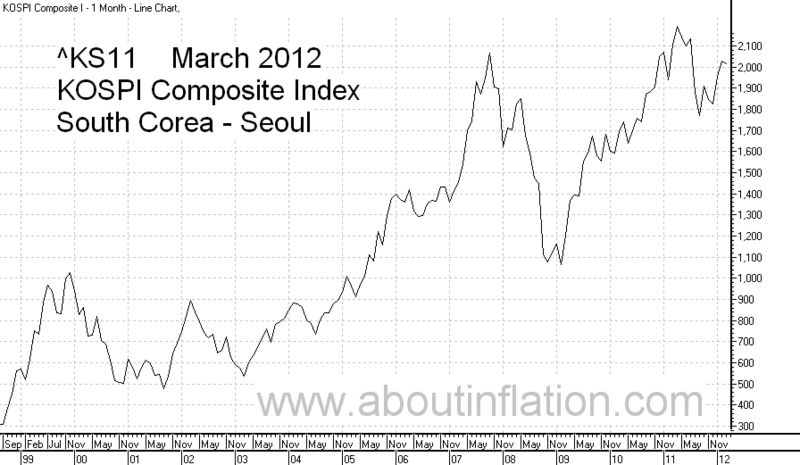 KOSPI, KOSPI Index(KS11) or Korea Composite Stock Index is a stock market index. KOSPI Index(KS11) started in 1983 with a base level of 100 calculate for January 1980. KOSPI(KS11) is an index made of more than 700 publicly owned companies (stocks), based in South Korea. 코스피, 코스피 지수 (KS11) 또는 한국 종합 주가 지수는 주식 시장 지수입니다. 코스피 지수 (KS11)은 1980년 1월 100 계산의 기본 수준 1983 년 시작했다. 코스피 (KS11)은 한국에 본사를 둔 700 명 이상 공개 소유 회사 (주식)로 만들어진 인덱스이다.